There’s a lot to consider when choosing the ideal perfect buy-to-let property for your portfolio. The location of the property itself will determine its positioning in the local market and will affect potential yields, as will its individual features and overall condition. A potentially more important question, though, is this: what kind of tenant is your property going to attract? 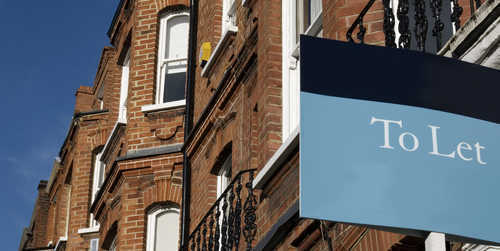 The role of an investment consultancy is to help you choose a buy-to-let property that meets your investment needs; the role of a professional property management company (or, in some cases, a lettings agency) is to manage the property from day-to-day on your behalf. When managed well by these two parties, your property will generate a consistently strong return on investment for you. But if you do not have a tenant, you will enter into what is known as a ‘low void period’. This refers to the time during which the property is empty and will not receive rental income. Naturally, low void periods can significantly affect the success of your investment. The key to avoiding them is finding suitable tenants for your property in the first place. How can I ensure my property is drawing interest from the right kind of tenants? It goes without saying that, as an investor, you will want to attract tenants who are able to pay their rent on time and who wish to remain in the property for a prolonged period of time. There are a number of ways you can ensure that your property appeals to your target tenants. First of all, you need to consider the appeal of your property. A trendy, one-bed apartment in the heart of the city centre will be the ideal option for a young professional; a well-located terraced property will meet the needs of local students; a suburban semi-detached house will appeal to young families looking for more space. Secondly, you will need to check how close the property is to various different amenities and landmarks, as different target tenants will have varying needs and preferences. For example, your average young professional is more likely to want to live close to the action, so will thrive on being based just a short walk from pubs, bars and other places of cultural interest; students will naturally prefer to live close to their university campus; families may be more concerned about the property’s proximity to local schools and recreational areas such as parks and leisure centres. You will also need to carry out a little research into the local area to gain an understanding of the types of tenants who already live there, and who is likely to want to move to the region in the coming months or years. Migration will depend greatly on whether or not there are any major developments or regeneration projects planned in the near future. Local newspapers will give you a good idea of what’s going on in the local community and provide you with an insight into how affluent the area is, and how it is set to grow and expand. Landlords always need to consider the types of tenants they want to attract if they want their investment to flourish. Sometimes, however, low void periods simply cannot be helped. Investors should be encouraged by the fact that, according to recent reports, low void periods are currently extremely low in the UK. This is in part driven by the exceptionally high demand for property and an overly buoyant market in many of the country’s major towns and cities. X1 The Terrace at the Quarter is an excellent example of a residential development that appeals to a young, vibrant target market. Set in the centre of Liverpool and just a short walk from the Albert Dock, these modern apartments and penthouses are set to attract a great deal of interest from those who enjoy the hustle and bustle of the city but wish to retreat to a desirable urban location. For more information on the investment opportunities presented by this cutting-edge development, please contact Surrenden Residential.